Gulf of Mexico captains, anglers, and boats can now participate in TBF’s Annual Gulf of Mexico Marlin Tagging Competition! The competition now runs from Nov 1st through October 31st of the following year and will count tags for both blue marlin and white marlin in the Gulf of Mexico (West of the 82 W Longitude). Tags submitted to TBF will automatically be counted towards this competition, but only active TBF members can win! Awards for Captains and Anglers will be presented to those who tag the most blue marlin and the most white marlin in the Gulf of Mexico. 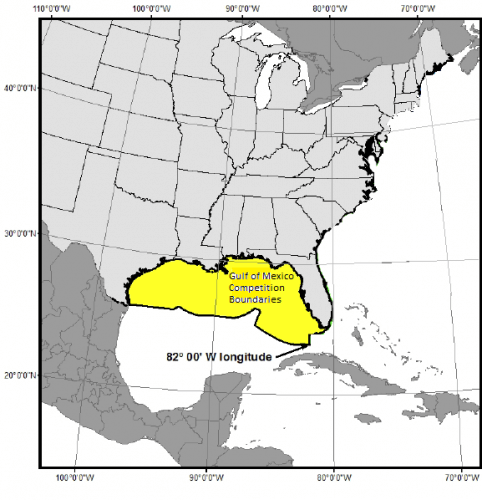 Only those fish tagged will be eligible for the Gulf of Mexico Competition, but release notification cards can still be submitted for TBF’s Overall Tag and Release Awards. The awards will be divided into separate categories for white and blue marlin as well as an overall award for total number tagged marlin combined between the two species for anglers and captains. Captain’s categories are also divided between private boat captains and charter boat captains. The only eligible billfish species are blue marlin and white marlin, but TBF may open up additional categories in the future. For the captain, angler and mate who tag & release the most blue and white marlin combined overall in the Gulf of Mexico with a minimum number of five fish. Active TBF membership required for each. For the captain, angler and mate who tag & release the most blue marlin in the Gulf of Mexico with a minimum number of five fish. Active TBF membership required for each. For the female angler who tags and releases the most blue and white marlin combined overall in the Gulf of Mexico with a minimum number of five fish. Active TBF membership required. 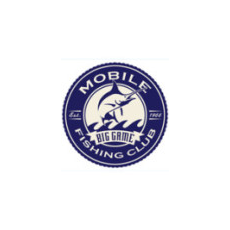 For the youth angler (anyone under 17) who tags & releases the most blue and white marlin combined overall in the Gulf of Mexico with a minimun number of three fish. Active TBF membership required. Date of birth must be filled out when reporting tags & releases. TBF recognizes the valuable contribution of mates in both the release and tagging of billfish through our Mate Recognition Program, a cumulative, on-going program that awards mates with a pair of Costa Sunglasses and a plaque for his or her level of achievement. 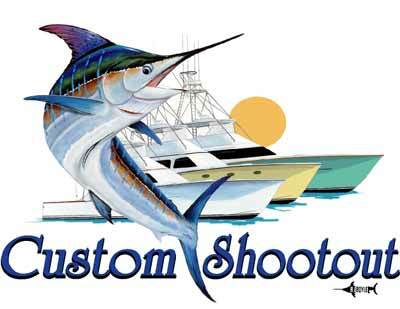 Mates on boats tagging the most billfish in the Gulf of Mexico will receive this prestigious award. Competition Dates: November 1st- October 31st of the following year. Deadline: All Tag Data Reports must be received or entered online by TBF no later than November 15. Eligibility: Anglers, captains, and maters MUST be a current TBF member to receive an award based on their submitted tagging data and eligible tags will only be those placed on billfish within the Gulf of Mexico. Charter captains must have a valid captains license and all necessary licenses for a documented charter vessel. Tags must be deployed on the same vessel in order to be counted for boat categories. See map below for boundaries. Charter Categories: Any tag records submitted for eligible species tagged on a registered charter boat are only eligible for charter categories. Charter captains must have a valid captain’s license and all necessary licenses for a documented charter vessel. Tags must be deployed on the same vessel in order to be counted for charter categories. Any tag or release records for billfish caught during a non-for-hire trip, but on a registered charter boat, are only eligible for charter categories. Any vessel with a valid HMS Charter/Headboat license is considered a Charter boat. Proper documentation and proof of charter boat status must be presented if requested by TBF. 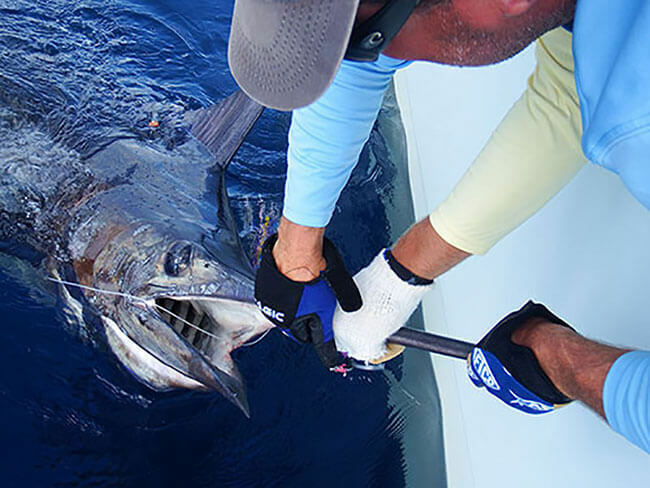 The post-release survival of billfish is vital and TBF urges that proper tagging procedures are used when tagging any billfish to ensure safe, healthy releases (see TBF’s Tag & Release Program brochure for more information). Improper tag placement, ‘speed tagging’ or using too much force when tagging can result in serious injury or death to the fish. For this reason TBF does not encourage tagging during tournaments. 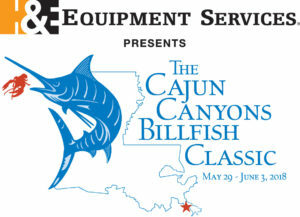 However, if a boat chooses to tag any billfish during a tournament they will be counted toward the Gulf of Mexico Marlin Tagging Competition. All participants are encouraged to see TBF’s Tag & Release brochure for information on safe handling and proper tagging procedure.